A local business should be thinking of how to connect with customers instead of broadcasting at them. If your business is as good as you think it is, prove it. Come up with something valuable and unique and share it with people. Draw attention to your products and services like no one else does. “Content” is all about delivering up front value and allowing people to start buying from you instead of you selling to them. Below is a video I published on my local web design YouTube channel. This is aimed at small businesses owners in the town where I live and work. Everyone likes to think that when they decide to make a purchase it is their own idea to do so, NOT the sales person’s rhetoric or persuasion. Giving customers the opportunity to buy from you instead of selling it to them is giving people chance to join the dots on their own. Position your business in a meaningful psychological space and people will sell themselves on you. 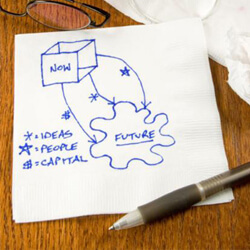 Let potential customers stir and taste your brand so it becomes their idea to buy. Let them take a sweet bite of what you have to offer. Imagine your perfect customer as a curious browser at a cheese deli, testing a delightful selection of free, bite size samples. And leave them hungry for more. That is how marketing strategies should be in today’s competitive markets. Content includes but isn’t limited to articles, info, statistics, FAQ, emails, photos, graphics, video, audio. When you think about it, a real life conversation is also “content”. Something of value is mutually exchanged and is of interest to both parties. Bring that feeling to your brand. More important is first being able to identify who your customers are and then starting a content driven conversation rich in personality. What can they afford to spend? Good content builds trust and compels your target customer to think of you instead of a competitor when they get into their buying mode. It is a courtship process and a soft sell. The best content is informative, interesting, educational, problem solving, compelling and useful. Those traits are a minimum requirement by today’s standards. 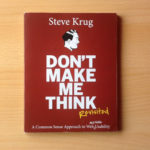 Such a mindset will only become more important in the future for internet marketers. You might as well get started down this road sooner instead of later. Think about giving instead of getting. I know you’re a business and you’re in it for profit. Therefore the solution is to give is to give advice/help/info/content that is not hugely detrimental to your business profit bottom line. Yes, it takes time and resources, but if you’re not doing this, you’re not running your business. 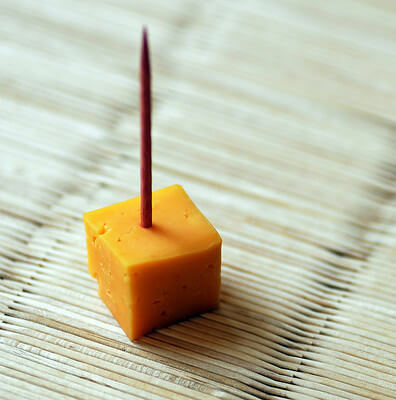 Stop taking the “who moved my cheese?” view of the world and come up with a strategy and that habitual mindset of offering a little something. Victory Auto Services is an auto shop garage who have their own website and a tutorial themed YouTube channel. The videos are shot on an inexpensive camera with lapel mics. I often use an iPhone or iPad together with a small second hand directional mic plugged into the top for better sound quality. Getting good sound is important. But the information is more important then the style so do not agonise over shiny production values. Anyway, here is one of many videos by Victory Auto Services. It’s a splendid example of building trust with an audience. These vehicle related tutorial videos are loosely scripted and demonstrate simple solutions to common car problems. The mechanics walk their viewers through step by step guides such as how to change windscreen wiper fluid, brake fluid etc. They do not give away valuable trade secrets. They reveal answers to questions which would would usually result in a lower cash value tasks in their auto shop. Their strategy is one in which they are deliberately filtering out cheaper vehicle jobs and maximising their mechanics’ time efficiency to productivity ratio. Best of all, the business is building visibility, familiarity and reputation. Their YouTube channel has been so well received that the business (situated in Minneapolis, Minnesota) was featured on world renowned social marketing blog Social Media Examiner. Like Victory, once you hit a successful idea, consider a strategy that includes regular ongoing content to build on a popular theme. As discussed, YouTube is free to use. If you don’t want to appear on camera there are other things you can do, like screen recordings or slideshows, with audio dropped over the top of some visuals. A video does not need to be fancy or expensive. Obviously, do some prep beforehand and have a loose script. Do not obsess over sound or light. Just get something produced so you have a pretext to get a YouTube channel up and running. You can tweak/improve things later. Another way to use YouTube is to set some fading images to background music or a voice over. Remember, video material like this is easy to share on social media and saves you repeating yourself on the phone. You could write short guides or how-to articles to show off your knowledge. If customers do not want to read, give them a video to watch instead. A podcast is an on demand downloadable mp3 where the focus is on recorded dialouge. This could be a solo effort where you are addressing the listener, or it could be a conversation between two people. You CAN use YouTube for this and set a background image with your logo, website URL, contact details etc but if it’s just sound, go with audio only and create some podcasts. 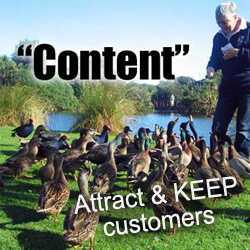 There are plenty of businesses who are sceptical about this so-called “content” approach. Businesses who think they can hide behind their website (and lack the human touch) will eventually stagnate and be overtaken by other content marketers. The point of doing all this work is to impress people and help your business stand out. There is a lot of “noise” out there in the online world. You must cut through the digital garbage by giving people something they haven’t seen before. If it takes hours, days or weeks to produce a piece of marketing content, then let it go on for as long as it needs too. If you rush things you are hurting yourself. You only have to do something well once. Strive for excellence. It will show in the final product. You don’t need to spend a lot of money either. There are many free and cheap tools available today. If you are willing to tolerate that slight discomfort of a project that drags on and on, it will eventually lead to a breakthrough and a more original result. This is infinitely more valuable as a piece of good marketing content. This is what gives you the edge over other businesses in your locale. If you’re interested in learning how to be creative watch this John Cleese video lecture. Having so many new marketing channels spring up preloaded with frivolous, gimmicky, subversive promises causes classic analysis paralysis and inertia. The inability to simply get started can lead many small biz owners to neglect their marketing totally. Focus on the subject rather than the style. (You can improve and tweak things over time as you learn and get better). Consider the following tips and allow yourself to digest some of the ideas you might have already. You may need to hire someone to help with technical aspects, but honestly, the idea is what matters the most. You can build a lot of credibility and use content marketing as a teaser. Think about using your personality to convey your brand. You do not have to put on airs and graces. Let the content be an extension of who you really are. Creating useful information for customers means you do not have to keep repeating yourself by phone or in person. It’s a time saver. People open their wallets with emotion, not logic. It’s easier to please people than it is to please search engines. Use cross channel promotion to chaperone customers to your Facebook, Twitter, Google Plus, YouTube etc. Involve staff and employees in the content creation/brainstorming process. Producing a video (for example) should not be a huge financial investment but it should be taken seriously. “Content is King” (Well actually, cash is King, but you get the idea). Content marketing can be a slow burner. If you’re not generating business or making money, review your decisions and be prepared to reassess your direction. I'm Darren, helping small businesses with design, marketing & tech. Read more about me and follow me on Twitter. I'm on YouTube aswell. Do you need help with something? To hire me see the page about my services. If you liked this article, consider subscribing to the RSS feed by email. Your email address is safe and will NOT be shared with anyone else. Hateful, spammy or abusive comments will not be tolerated. For more information please see the comment policy. Hello, my name is Darren, a 34-year-old business enthusiast eager to learn and do good work. I’m a website builder for hire working with small to medium businesses. 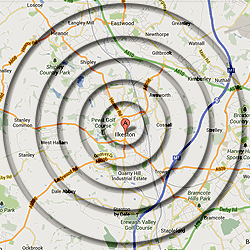 I network in Derby, Ilkeston and Nottingham in the East Midlands, England. Childhood Business Ventures: What Was Yours? How Safe Is Your Password from the $450 Billion Cybercrime Industry?